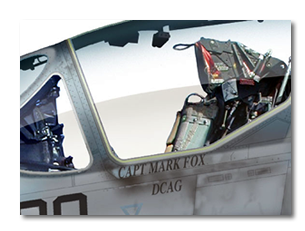 You will receive a highly detailed picture showing the individual aircraft requested. You can also have the legend that appears on each print specifically tailored to you and I can add various stores/ munitions within reason. I would need all the specific details relevant to the plane. This would include Serial Number or Bureau Number, Aircraft Number or MODEX, Unit Markings, crew names and nose art if applicable. Ideally I would need photographs of all the details above; the more photographic reference I have the more detailed your picture will be. If there are any unique details such as weathing and dirt etc., this can be faithfully copied to make your picture truly accurate. The ultimate reference for me is a series of close-up pictures detailing an entire airplane. If this is not possible I can simply work from one picture as long as I know all the other details listed above. The easiest way to send the photos is to E-mail high resolution images. Photos can be scanned and sent as attachments. Alternatively copies of photos can be sent by regular mail. E-mail your request to me with as much information about the plane you would like. I will be able to give you a proposed delivery date and further contact information if required. To begin click here. I can also be commissioned to produce a squadron print for any serving unit. When I know the numbers of prints required I will be able to quote a price. Please E-mail your request here.